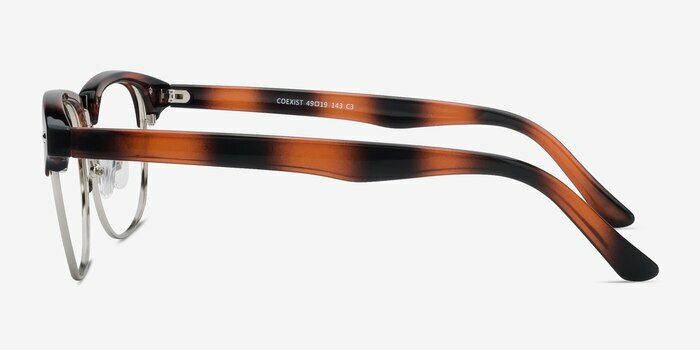 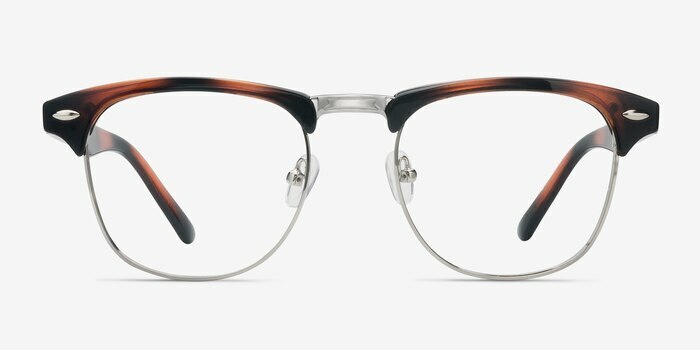 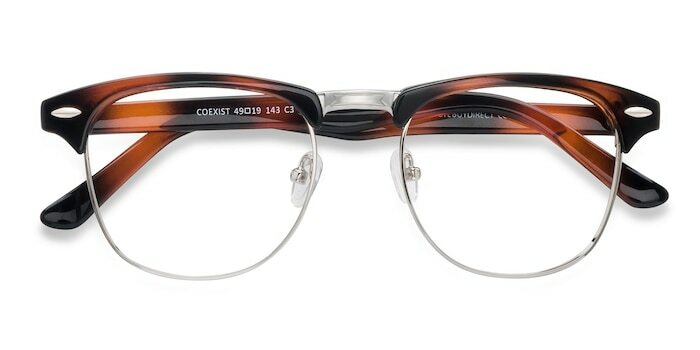 These Coexist eyeglasses are well-named, because this is a classic example of two styles fitting together perfectly in one frame. 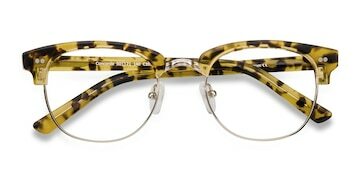 On the one hand, the metal lining the square, full-rim lenses and the brown striped coloring have a vintage feel; while the bold, chunky temples and the top of the lenses add a cool, modern twist. 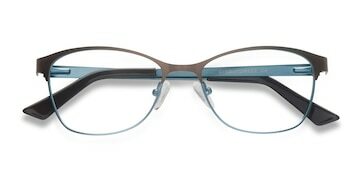 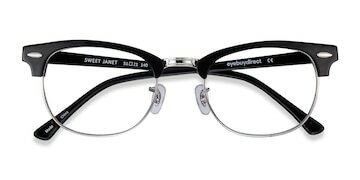 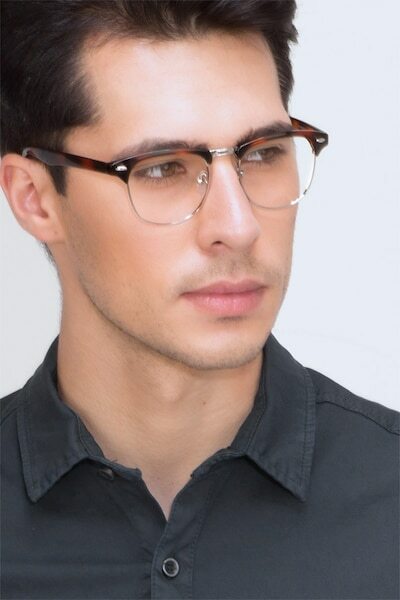 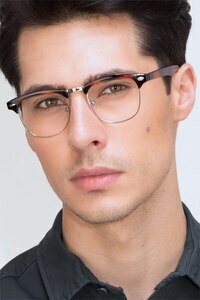 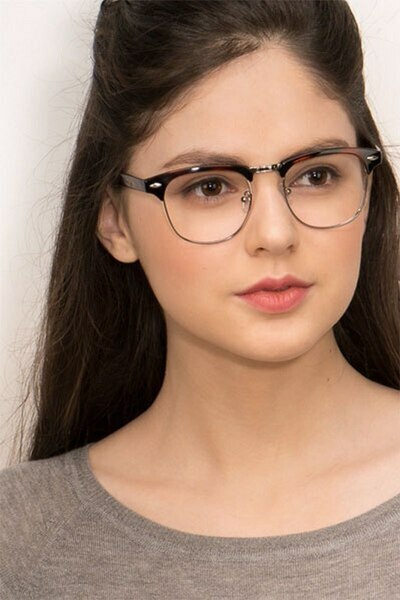 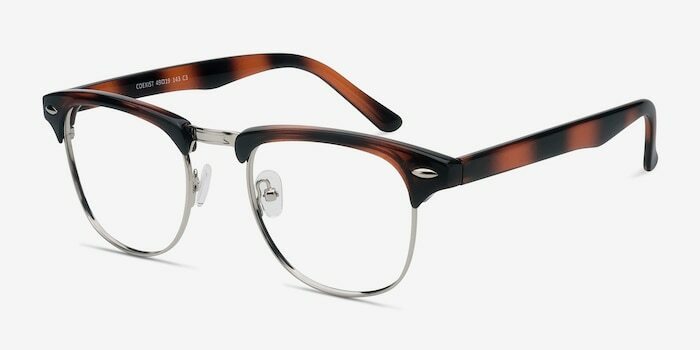 The overall effect is a fresh, unique frame that looks great all day long.